Pretty in pink. Our vegan leather jacket is the perfect pop of color. 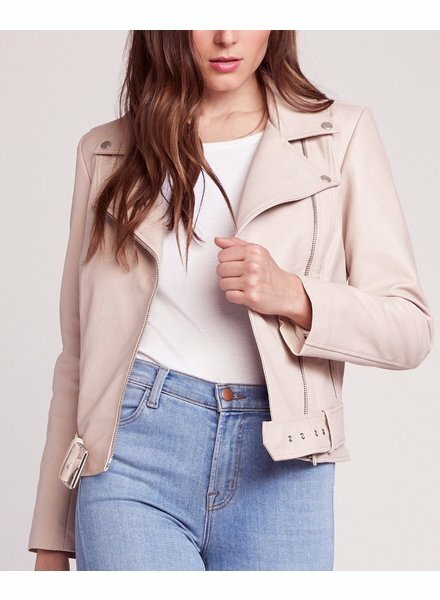 Our blush suede jacket is pretty in pink that you can wear all year round.